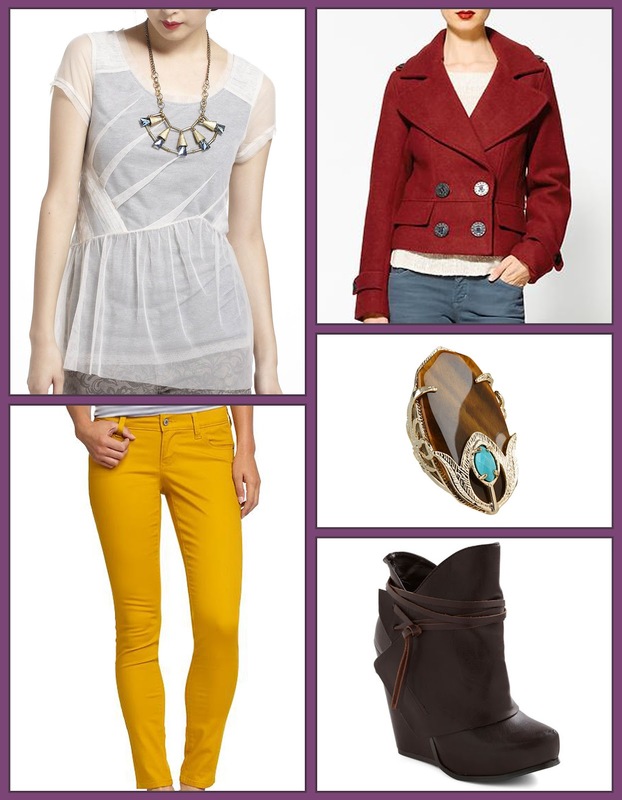 I love a good colored skinny jean (read more about my love affair HERE). Lucky for me the colored jean trend is still rockin' and my friends at Old Navy are pumping out the seasonal colors in their Rockstar Jean. I recently bought some of the nice new hues for fall which unfortunately were just too short for my long legs (sadly not all the colors are available in tall), but to anyone of average height, I highly recommend them. Affordable price point, wide color selection (I love the Purple Sage and Heliotrope in particular), and totally comfortable. Comfort is relative I suppose, I love mine tight (!!!) but if you don't, definitely swing by one of their shops to try some or order a few different sizes online. I've heard from other bloggers they've sized up one or two for a more comfy fit. Also, in case you missed it, check out Kat of Ginger Adorned's DIY Polka Dot Jean tutorial using the Old Navy Rockstar Jeans.